This is my secret. 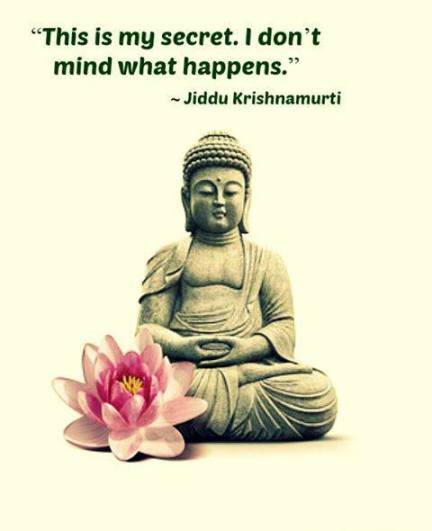 I don’t mind what happens. 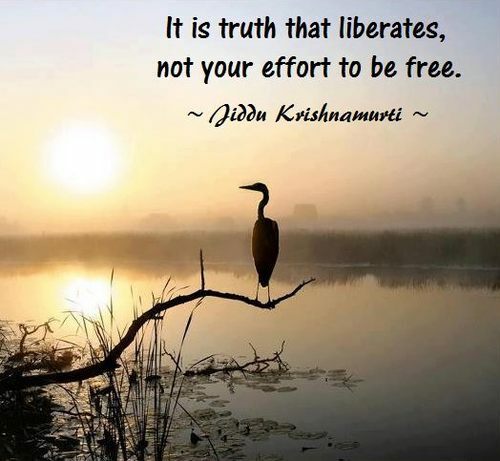 Truth demands a mind that is totally free. The authority of a belief imposed by religion surely destroys the discovery of reality. One relies on authority because one is afraid to stand alone. Religion is skeptical inquiry into truth. 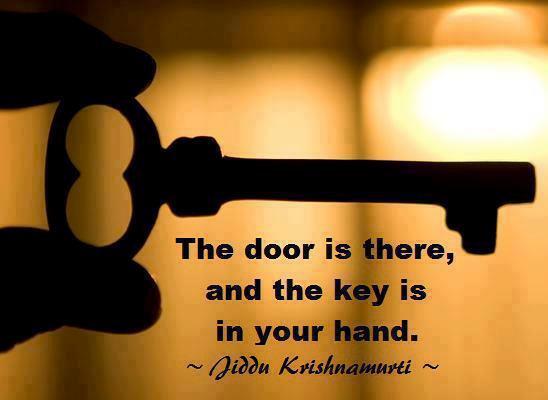 The door is there, and the key is in your hand. 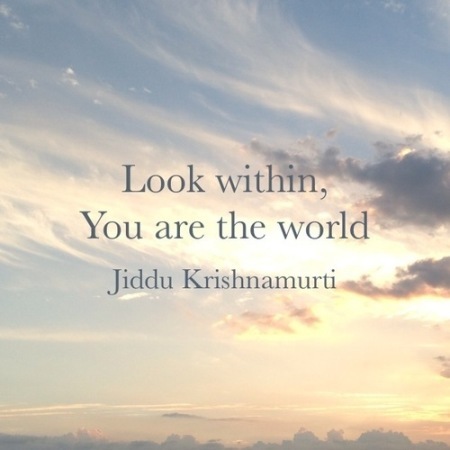 Meditation is putting aside altogether everything that man has conceived of himself and the world. Death, love and living are interrelated. Constantly to seek the purpose of life is one of the odd escapes of man. If he finds what he seeks it will not be worth that pebble on the path. When we talk about understanding, surely it takes place only when the mind listens completely — the mind being your heart, your nerves, your ears — when you give your whole attention to it. 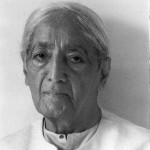 Jiddu Krishnamurti was born in Madanapalle, Andhra Pradesh, India. 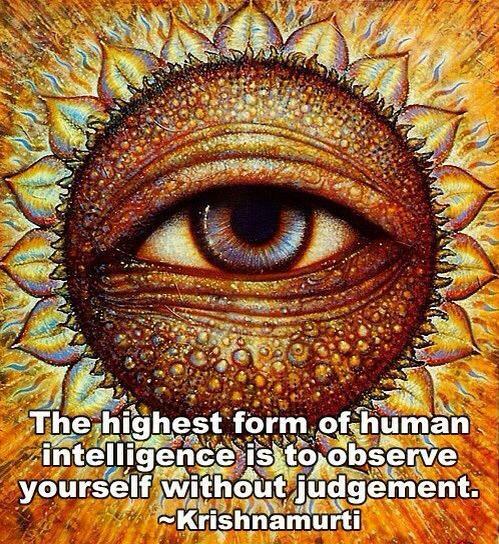 He was an Indian philosopher, public speaker and author. 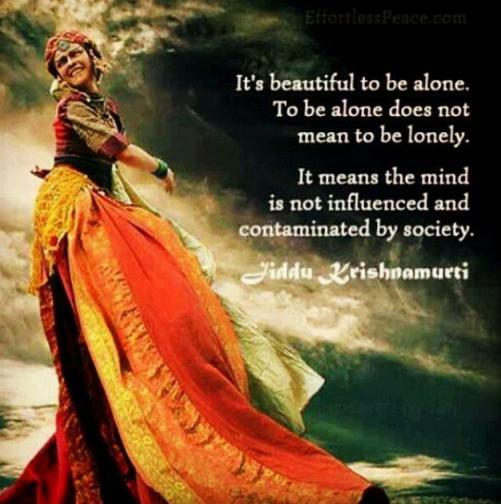 His subject matter included psychological revolution, the nature of mind, meditation, inquiry, human relationships, and bringing about radical change in society. 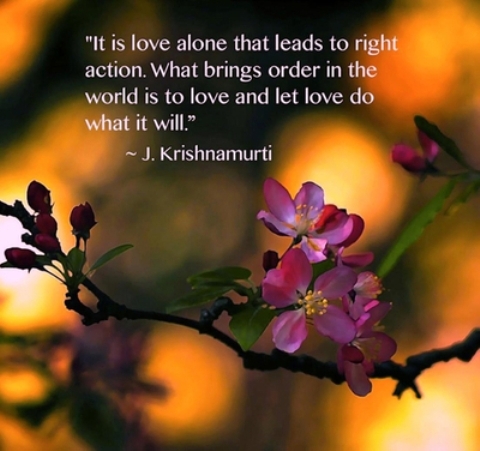 Krishnamurti's teachings have had an influence on the thoughts of several notable public figures, including Kahlil Gibran, Aldous Huxley, Henry Miller, Bruce Lee, Jackson Pollock, David Bohm, Deepak Chopra, Indira Gandhi, and Eckhart Tolle. He wrote several books include: Education and the significance of life, The First and Last Freedom, Life Ahead, The Only Revolution, The Flight of the Eagle, The awakening of intelligence, Krishnamurti's Notebook, The ending of time (with David Bohm), On Love and Loneliness, On relationship, On fear, and The book of life. 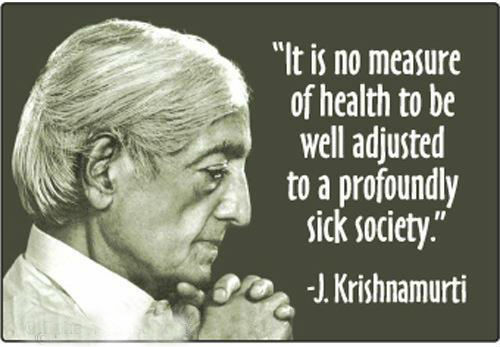 He established Krishnamurti foundations in the United States, Britain, India, Spain, and Canada to further his aims. His death at his home in Ojai, California, USA.